LivingTru.com has had a lot of firsts to grace our webpages no doubt! However, you gotta check out this next "feature" with our most anticipated Smooth Jazz Artist, the Sax Man, Mr. Charley Langer! With the smooth sounds that are reminiscent of Phil Woods, Boney James. 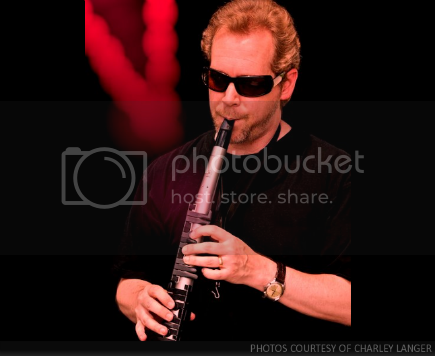 and Grover Washington, to name a few, Langer is on a mission to share his smooth musical skills with the world! Writing an article about the "Sax Man" is cool, but if you really want to get a clear understanding of who this man is, read on! Hey! Mr. Langer we finally meet! Albeit on paper, but nonetheless, we meet! Lol! The first and obvious question is, how long have you been peforming? What artist's do you listen to and how do they influence you? My approach to the saxophone is definitely rooted in both classical and jazz. I listened to a lot of “legit” (classical) players like Harvey Pittel and Donald Sinta, as well as jazz guys like Paul Desmond, Phil Woods, and Richie Cole. I didn’t really get interested in more popular saxophone styles until later. I think my tone still has quite a bit of Pittel, Desmond, with a touch of Phil Woods. My improvization is fairly lyrical and, when I play straight-ahead jazz, my lines are probably more similar to Desmond than anyone else that I can think of. When it comes to “smooth jazz”, it’s hard to play that style without being influenced by Grover Washington, Jr. and David Sanborn. I also like the jazz-fusion sounds of the Yellowjackets, Dave Weckl Band, and Steps Ahead. Your sax skills are mad cool, and you exemplify a gentle prowess when you play...is this something you've always done, or have you had formal training? First of all, thank you! Honestly, my tone hasn't changed that much over the years, but I've had to work hard at everything else. I practice a lot of scales and patterns! 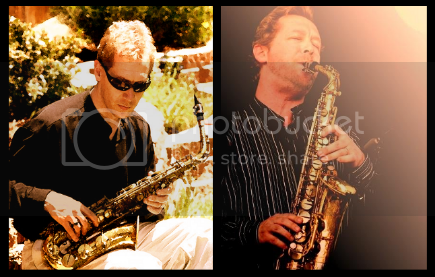 Concerning my training, I have a master's degree in saxophone performance from the University of Southern California. And I've been fortunate to have some great teachers, including Vincent Gnojek, Douglas Masek, and Laura Hunter. Wow, I agree that having good teachers can impact your life. Man, I'm grateful I've had a few in my life, lol! Your breath control is on point and the exuberance you bring to the music you play is cool, and laid back. Where do you think that vibe comes from? Those who know me personally would tell you my musical vibe is just an extension of my personality. I'm a pretty laid back person, and a bit nerdy. Now that I think about it, it was probably Desmond's coolness--and, frankly, his "nerdiness"--that fascinated me and moved me to emulate him. His playing was typically understated, but brilliant. I admire that. Cool. I know I have a lot of questions, but are your parents musically inclined, and do you have siblings who perform? Is playing the Sax your full time job, and what other interests do you have? Music was very important in our home while I was growing up, and it was my grandmother who started teaching me piano when I was in the fourth grade. I loved music, but wasn’t particularly excited about playing the piano. When I was in the fifth grade, my parents bought me an alto saxophone. My dad played the trumpet, my step-mother takes piano lessons to this day, my sister plays the flute, and my brother plays the trombone. While I'm the only family member who continues to actively perform, music was a huge influence on the kind of people we became -- you just can't master an instrument without developing some life skills. The Saxophone is not my full time job at the moment. When I finished school, it was more difficult to be a full time musician and live a balanced life than it is today. Technology and a shift in people's attitudes are changing that. I can do recording sessions for other people without leaving my house now. I can sell my albums on the internet. There are musicians making good incomes doing short house concert "tours" instead of being on the road for months at a time. Other interests? Hmmm...I'm actually a shallow person! Kidding! I enjoy art and culture. I like to fish rivers and streams and spend time in the mountains or at the beach. I like playing games with my family and taking walks. Lol, I love a sense of humor! I believe you can probably play anything! I mean there are a lot of folks who have re-recorded other artist's songs, but not as well as the original. How do you feel about your skills in this area? Again, thank you! Although I play other people's music, I know I'm always going to be compared to the person who made the song famous. That's just the way it is. I've recorded some jazz standards, and it's always gratifying when someone says, "Your version is my favorite!" Right? Its hard to follow in the original's footsteps, lol! I got feedback from people who really enjoyed hearing your Sax abilities! Do you plan to collaborate with other artists? Actually, I need input from other musicians. Some people do a great job of going it alone. I can't do that. Almost everything I do is collaborative. A number of the songs on my album were co-written by Mark Morris, who is a wonderful guitarist. Mark is my hero. He rescued a few of my songs that I thought were destined for the trash can. I met Mark on an internet music forum, and he suggested collaborating. At first, I just played on some of his tunes. Then I asked him to help set the groove for my scratch tracks on “City Lights”. He not only got it grooving, but he sent me back that cool guitar counter-melody on the bridge. Mark and I both use the same recording software, so we sent audio tracks to each other over the internet. Modern technology, you gotta love it right?! Your songs are dope! How did you feel recording them, were you nervous and what frame of mind were you in while recording? Recording requires a different mindset than playing live. I record myself all the time when I practice, so I'm a lot more comfortable with it now than I used to be. Even so, when I'm working on a serious project, I try to tell myself, "Hey, this is just a practice take." Otherwise, I tend to get focused on the fact that the "red light" is on. I have just a few more questions. What role does religion or spirituality play in your life, and if there is one thing you could do to make this world a better place, what would it be? I'm a Christian. I believe my art reflects who I am and, indirectly, who God is. It says in Romans that God's creation testifies to His invisible qualities. I think the same can be said of man: his creation testifies to his qualities. The more I resemble God--i.e., the more I become conformed to His image--the more my art resembles Him also. As to making the world a better place...I'm starting by being the best me that I can be! Wow, "my art reflects who I am..." that statement says alot, its something for me to think about as I continue on with my website!!! What venues will or have you performed in? I've played in clubs, casinos, churches, theatres, concert halls, convention centers, stadiums, and even at the second inauguration of Ronald Reagan! But right now, I'm excited about doing some house concerts. I love the concept of playing music in an intimate environment without the hype. If I might make a shameless plug, I have a newsletter that will keep you up to date. I also give away quite a bit of free music to my subscribers. Ar, I moved this below!! You can sign up at: http://www.charleylanger.net. Shameless plugs are cool, I'll put your social networks at the end of our interview! Okay, this is the last question, lol! how do you channel or spread your "positive energy?" Nicely said! It's been a blast speaking with you, thank you so much for spending some time with us at www.LivingTru.com! You guys know what to do, make sure you connect with Mr. Charley Langer on all all of his social networks! And be sure to check out the video below! Be blessed, and have a good one yall!